Out on bail, Bernard Madoff has returned to the co-op apartment on Manhattan's Upper East Side where he lives with his wife, Ruth. Apartments in the building, just blocks away from his firm's offices, usually go for upwards of $5 million. 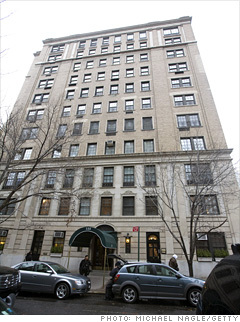 One neighbor: Matt Lauer, who scooped up a unit for $5.9 million in 2004.